Mining around the world for minerals from coal to diamonds is an enormous industry with annual sales measured in the trillions of dollars. Most mining activity occurs in remote locations, miles from the nearest conventional sources of power. 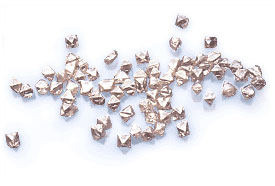 Mining operations also entail the bulk movement of earth and minerals on a massive scale. In the vast majority of these operations, electric power is generated on site via diesel engine driven generators and/or steam driven generators. For all these reasons, the accurate accounting of diesel fuel received, dispensed and consumed at a remote mining site is of extreme importance to the proper operation of the mine. 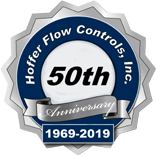 Hoffer Flow Controls has the breadth of solutions to help make this task easier with our state of the art Fuel flow meter systems, Flowmeter measurement applications . Under some of the harshest conditions on the planet Conflow Technologies, our Canadian Representative, is able to provide Hoffer turbine flowmeters as a solution to one of the largest gold and diamond mining companies in the world. Located in the Northwest Territories of Canada, the site includes its own diesel fuel fired power and steam generation plant and employs in excess of 200 pieces of diesel powered mobile mining equipment. While working on the initial application, Conflow learned of additional requirements for measuring diesel fuel. The applications included fuel being received on-site and transferred from bulk storage facilities to individual points of use in the power generation plant and a second application at dispensing points for fueling the mobile equipment. These applications were all ideal matches for Hoffer turbine flowmeters. To date, Conflow has installed 25 Hoffer turbine meters at the site for the following applications. Each of the secondary distribution lines is equipped with Hoffer turbines. These include heavy equipment refueling stations, along with boiler fuel consumption applications in the powerhouse. These flowmeters allow the mine to track the fuel each department uses. The flowmeters were calibrated for the average viscosity of P40 diesel fuel oil @15°C. The Arctic has a very fragile ecosystem, as such, the mining company is very sensitive of this fact and has installed insertion turbine meters on various fuel lines to indicate fuel leakage or valve malfunction. These flowmeters are interlocked with their existing automation system. Hoffer insertion turbine flowmeters are also used to de-water lakes, where the meters measure the volume of water pumped from the lake. This is also a requirement set by the environmental authorities. A requirement at the site is for all fuel flow systems to be corrected to 15°C to match the correction on incoming fuel deliveries. This necessitated electronic flow computers that can perform these corrections which Hoffer was able to supply. Our flow computers were integrated, with additional equipment provided by Conflow, to provide data acquisition and printing capabilities. The Hoffer flow computers provided CSA and Canadian Weights and Measures approvals. Thanks to Conflow Technologies for a great job supplying the customer with solutions to their multiple flow measurement applications.